Oppressed by its own government, your native city is at the edge of a crisis. The conquering war-spirit of Mars has found its next generation of followers, and the subjugated people feel it. Till now, your family has always managed to be safe from the conflict. Your father's prosperous work had earned the approval of the supreme leader and left you a fortune, as well as security. Your future seems certain. Then, one day, an accident scars you with a terrible accusation. Everything changes suddenly, under the power of an angry mob and betrayal by your closest friend. A glance at my blog will tell you I rarely read fiction published recently. "In my younger and more vulnerable years," I was unfortunate to read a lot of poorly written historical fiction and Sherlock Holmes pastiche. I thirsted for greatness and found mediocrity. Back then, I wasn't part of a blogging community, or maybe this wouldn't have happened. Anyways, I developed a prejudice against modern authors, which, based on my limited reading, was not well founded. I stumbled across this book on Goodreads; not sure how, exactly. Like everyone else, I've been following the news on North Korea with uneasy interest, and at the same time, I've become increasingly fascinated with Korean culture, introduced to it by some of my favorite YouTubers, like Jen Chae. 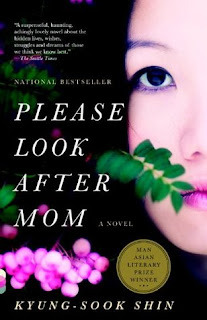 Please Look After Mom, by Kyung-sook Shin, sounded like a novel I could learn from. 1. 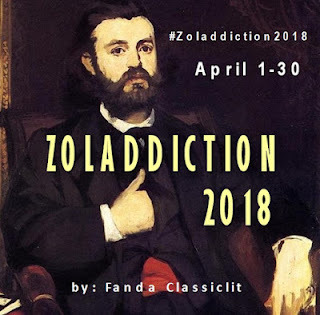 The Kill, by Émile Zola Making an exception in my "no more reading challenges" resolution - I plan to read The Kill for Fanda's Zoladdiction event next month. It's one of Zola's shorter novels and, from what I hear, an interesting one! 3. North Korea's Hidden Revolution: How the Information Underground Is Transforming a Closed Society, by Jieun Baek How do people share information that's illegal, and what information would a person risk their life to access? This topic appeals to me for both historical and universal reasons. April is rapidly approaching, and that means Camp Nanowrimo! The bite-sized version of National Novel Writing Month, Camp Nanowrimo is my favorite of the two events, because you can define your own word count goal and work on any project(s) you have in mind. I've been participating regularly since 2015, and next month I plan to continue working on my historical-fantasy saga and perhaps some fan fiction, too. While I'll be taking a break from the podcast, I intend to continue reading through April. Are there any books in particular you'd like to see me review, either here or on Classics Considered? It could be a book from my lengthy TBR list, one that I've read before, or something completely new and different. I have a few ideas in the queue, but I'd love to hear if anyone has a suggestion: fiction, nonfiction, anything goes! One day, Etsuko's quiet life is interrupted by a visit from her daughter Niki, who, though being independent and somewhat secretive, has taken time off from her London life to come visit her. This visit prompts disturbing memories in Etsuko, from the recent suicide of her older daughter Keiko, whom she is still grieving, to her own life back in Nagasaki, Japan. As a young, pregnant mother and married to her first husband, Jiro, Etsuko's earlier life had been a witness to sweeping changes in Japanese society, as well as to the physical and cultural presence of the Americans, post WWII. Most troubling of all, however, is her recollection of her friendship with Sachiko, a confident, middle-aged woman who had moved in to a nearby cottage. Sachiko had a little daughter named Mariko, who suffered trauma from the bombings of Tokyo and other scenes of the war. No matter how much Etsuko tried to help Mariko, it seemed her mother had wished to brush it all aside. "Classic" - this word holds so much weight, yet what does it really mean? Today we discover Kazuo Ishiguro's novel A Pale View of Hills and examine the different facets of what makes a classic book. Having resolved to read everything written by T. E. Lawrence, I inevitably picked up his college thesis, published posthumously under the title Crusader Castles. It's a very rare book, but happily a New Year's discount made the Folio Society edition a good option, and I couldn't have been more pleased with the customer service, shipping, and, of course, the edition itself. The FS release is a reprint of the original two-volume edition, and it includes an excellent introduction by biographer Mark Bostridge, whose interest in WWI history makes it a worthy addition. Through the introduction, you learn that T. E. Lawrence completed his thesis just four years before the outbreak of WWI. For his research, he had already traveled extensively in Britain and France, and even to Syria and Palestine - his first exposure to the Middle East and its climate, both in a geographical and political sense. What makes Alice in Wonderland a beloved classic? This week, I review one of my childhood favorites and some of its creative film adaptations. My goodness, I repeated myself quite a bit in this one... Well, I got very excited about this week's topic - buying books (and saving money)! Lithium - EPUB reader - Forgot to mention this in the episode, but I've just recently started using this app for Gutenberg .epub books on my Android tablet. It has note-taking, highlighting, and bookmarking features like a dedicated e-reader, which really brings Gutenberg .epubs to a whole new level!